Are make money online offers and online entrepreneurship equal? Yes, because they are both generating income by making use of the internet. No, because online entrepreneurs are somehow a group of its own: They are focused on building entire businesses. And they do that based on specific business models. Confused? Okay, say you make some extra money by making online surveys, clicking ads, or paid searches. That’s not exactly building a fully scalable online business. But if you, for instance, build a website with heaps of relevant, helpful content for a specific online audience (niche), and you monetize the momentum of your visitors by routing them to products they want to buy (business model) you are pretty much a typical online entrepreneur. Ahh, I guess the last bullet sends you right into some passive income daydreaming… STOP! That‘s not what I mean! Even if you manage to automate many of your business processes to a high level, there simply is no such fully automated passive income machine! Think of all the celebrated entrepreneurs – have you ever seen a single one of them appearing to be “passive“ with his business? Nope. Lots of assumptions and preferences, right? I elaborate them because I want to pick the most success proven and therefore promising ideas for you. And with all that being said, you can make the best of your entrepreneurial journey, if you stick to one more assumption: Building your business based on a website or blog. From all the experiences I gained and from all of the experiences that have been shared with me, your own “asset“ on the internet (your website/blog) is still (or should I say more than ever!) the best-built foundation for your online venture! And just to stimulate your appetite for creating businesses built on websites: Your website sums up all the value you ever contribute to it. It’s like an asset growing in value day by day. Authority websites (like yours will become sooner or later) deliver great, comprehensible proof of success. And this is very appealing to investors who want to buy in themselves into a profitable business. Of course, you can choose other ways into an online business. But again, from my own experience and the experience of many other successful internet entrepreneurs, I wholeheartedly recommend going the “based on website or blog“ way! Like announced at the beginning of this post, I refer to business ideas that are suitable for beginners and advanced marketers. 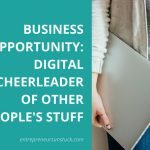 The following order of ideas for digital entrepreneurs can also be viewed as my recommended order to expand your business from starting as a newbie to growing to an expert. Let’s get rolling! If you are a newcomer to the online industry, affiliate marketing is an absolutely awesome model to build and learn your business. But it’s by far not only a newbie business: Many advanced marketers grow and scale their affiliate activities to such a high extent of profits (commissions) that there is no need to expand in any other business model for them. But how exactly does affiliate marketing work? Mainly, it‘s made of selling other peoples products online. If you check the internet, there are millions of products you can buy online. For many of these products, there are attached affiliate programs. Affiliates who join these programs earn commissions by selling products that are covered by the specific program. In affiliate marketing, “selling“ means sending your online visitor to a product (through your affiliate link). If that visitor buys the product, you have made a sale (and earn your commission). The selling part of an affiliate is often misunderstood. It is not a bold “come here to buy there with bonus“ strategy, that makes your affiliate business substantial. Successful affiliates know they have to get involved with their audience first, to show them spots to buy something in a second step. And good affiliate marketers love to get connected with their audience, to offer them helpful information. They live and breathe the customer’s point of view because they are often customers of the products they talk about themselves. But where do affiliates get in touch with a relevant audience for a product they promote, you might ask. This is where the foundation of an affiliate business – a website or blog – comes into play. You build a website in the niche that surrounds the group of products you promote. On this website, you provide useful information related to the products you promote. Let’s take an example, say you are interested in dogs (okay, mine is a boxer lady;). Maybe you have or want to build expertise in food, toys, training or equipment for dogs. These topics can all be great niche ideas to build an affiliate website for. The great thing about affiliate marketing is, you can build your business in a field you are interested in or even passionate about. From my own experience, I can say a high level of interest is always a great “motivation booster“ to do your day-to-day work. Show your own tone of evaluating things! You don’t have the role to just duplicate the suppliers marketing blah blah with some few changes on your website, to capture your readers. Your role is to give your visitors information about the supplier’s products from a different, customer point of view. A view that relates to the real needs, problems and questions of your audience. I recommend making your niche website content honest and opinional or even controversial. Show advantages and disadvantages readers should be aware of before they make a buying decision for something. Give them how-to-solutions for their problems. The opinion of other customers has a lot of weight in the purchasing process of people, especially of people who buy things online. If you give them that well-examined customer opinion, you have a big advantage to those marketers who don’t consider the customer needs! What’s better than a customer? A repeat customer. Email marketing is a great structured tool to build these long haul customer relationship: Prospects come to your website and subscribe to your list, to get more helpful information from you. Then, with receiving a well-balanced dose of value-added email sequences from you, they become trusting customers and often even more – a repeat customer of the (own) products you refer them to. The lists you build can easily outperform other strategies to generate and keep customers. With PPC (Pay Per Click), for example, you invest money to get someone to visit your website (to buy your product). If that someone visits your site without buying, he leaves and is gone forever. With your subscribers, you have initial effort to generate them, but once they are on your list, you can address them over and over again… for FREE! The hardest work is to turn a prospective into a customer that trusts you. An existing customer is WAY more likely to buy more useful stuff from you again. There are some shifts happening regarding the concepts used for email marketing. For example, the bait for new subscribers is not only to stay updated with newsletter subscription anymore. Potential subscribers are rather called to action with free valuable reports or e-courses to leave their email address. The plain newsletter model, where emails are mainly a summary of last weeks/month new articles, gets competition (or is even substituted) through email funnels. These email funnels are follow up series of emails with a clear strategic focus on converting new visitors into trusting customers. Even though you‘re aiming for high conversion rates, your funnels should not be a sequence of emails loaded with sales pitches for your (affiliate) products. Instead, your email series should mainly be made of solutions for your subscriber’s problems. That way, the part of selling related products happens as a byproduct of your “made to help“ email contents. The creation of your email funnel should be done with a high standard of quality since the content and the frequency of sending these emails (via autoresponder like AWeber) decide whether your subscribers are feeling happy to hear from you or turn into seeing you as another annoying spammer. Unfortunately, there are masses of spammers misusing the advantages of automated email software to flood our inboxes with rip-offs. Therefore, we have to deliver extra proof that our intentions are legit and of real benefits for our subscribers. Fortunately, we can do that in two ways: within our email funnels and through our authority website content. A good valuable email list is not built overnight. But if you keep your standards high, your golden list will grow and grow. And whether you promote your own products or affiliate offers: For all your future updates or new offers, you can combine a huge outreach of your blog traffic and your subscriber list. What stage of your online business development is a good one to start building a list? I always say it’s best to first generate a decent amount of traffic to your website or blog, which should be accompanied by some well-grown authority of yours in your niche. Once you have established these “presence pillars“, you should start building your list. And for the perfectionists: Don’t start too late with it either! Thanks to technological progress, selling own products on the internet has become a quite easy thing. Website creation has never been easier and even setting up your own fully operative online shop is kind of a no-brainer nowadays. But, depending on the kind of products you sell, the things you have to take care of, the processes behind the scenes and the margins can vary. If you take the route to sell your own physical products with own inventory and shipping, you have a range of process stages to take care of. In this model, you should only go for products that can result in good margins at the very end of the whole process. Another option is to sell own physical products with the model of drop shipping. In essence, drop shipping means you don‘t have to handle shipping or inventory as the items are drop shipped directly from the manufacturer or wholesaler to the customer. But achieving good margins is not easy in many niches here, because competition tends to be very high. Compared to physical products, the selling of own digital products is accompanied by a very slim business process, since there is no manufacturer or wholesaler, no inventory and no shipping involved. Additionally, the production costs can be reduced to a minimum. All the effort refers to creating content (which is in best case done by yourself), editing, proofreading and creating some graphics, which can easily be outsourced at low costs. If you manage to streamline a well-targeted audience to visit your website and sell them a valuable information product that suits their interests/problems, you have a great and highly profitable business rolling for years to come. You create it once to sell it over and over again. There is never any reordering of quantities or ongoing negotiations with manufacturer/wholesaler. All you have to do is streamline highly relevant traffic and keep your product updated. Many advantages of virtual products have lead to a huge boom of people wanting to make a business out of them. No surprise, the general competition in this field is high. Therefore, unique, quality driven and very helpful content is critical, to step ahead of the competition. Many ebook marketers do not put enough time and effort into the product creation and promotion. That’s why the internet is flooded with tons of low-quality ebooks. In my opinion, a huge part of these low-quality products are caused by PLR (Private Label Rights) offers. These are mainly ready made ebooks you can buy to sell them with or without any amendments. Many people take these PLR ebooks in original form and fail to promote them successfully. They don’t realize they cause duplicate content on the internet, which makes it close to impossible to get them ranked in the search engines. Another huge group of poor quality information products are the offers of so-called internet gurus. They don’t use duplicate content, some of them are even launching well-designed products. Here, the poor quality refers to the dubious marketing tactics they use to promote offers that are in most cases looking fancy but are free of value in the end. ClickBank (an online marketplace for digital products) is a good example: You can surely find good products there. But there also is a large number of questionable products using even more questionable manipulative communication in their sales letters. You have the chance to do it differently. Before you start to create your own digital product, think about where and how you want to meet your audience. A well established, reputable blog or website with some good amount of valuable traffic coming in, is a good preparation (Learn more about the blog business model here). For your product (e.g. tutorial, checklist or guideline) it’s mandatory to choose a topic that is highly relevant to your audience‘s needs. And it also should be something you are very interested in or even passionate about. I have written tons of content in my life. My experience is, the more you are interested in what you write, the better the writing-flow and quality that can be achieved. Once you are familiar with creating digital products and their successful promotion, you can replicate your expertise to launch more digital products within one or several niches. Most successful online people I know haven’t jumped into the creation of an own information product on a starter level. Same thing with me. Guess we were all too busy to learn how to generate valuable traffic to our websites and monetizing it with pre-set products of other people (affiliate marketing). Once you have mastered traffic generation, there’s enough space on your heads working memory to create own products next to day-to-day business:) With being an affiliate expert before creating an own product, you also have great knowledge about setting up your own appealing affiliate program for your product. I think it’s absolutely amazing how much of education you can find online nowadays. And it’s not only finding good definitions and explanations for any topic you search. Today, you find comprehensive, user-friendly training and step-by-step online courses for a vast number of professions. With help of technology, the creation of a user-friendly online training program is no rocket science anymore. Those who love what they do and want to help others learn the same have great opportunities to start teaching their profession with own online courses. This whole field of e-learning is a rapidly growing market you can make great income from when you can bring in all the attributes needed. Just like other digital products, you have an initial effort to create the training course. But once it’s finished, you have the opportunity to sell it for years to come (with proper traffic engines working), with comparably low effort for maintenance. For those not knowing how to start with an online course, there are several online course platforms where you can use tools to create, publish and promote your online training programs on that platform. Udemy is a good example for these platforms. But for each customer Udemy acquires for you, it keeps a 50% or more of your revenue. If you want to keep 100% of your online course revenues, you can promote your course on your website and within your email funnels. Again, a decent amount of highly relevant content for your audience is mandatory to make your own promotions work. See your website as a hub where your audience finds lots of helpful contents all around the solutions you offer them within your online courses. Great content combined with some proper keyword strategy can really help you to find your “perfect match“ audience for your online training offers! Compared to ebooks, online training programs often include way more content volume and premium aspects for customers. Online training programs are result driven, go much more into detail, and often make use of media like videos, downloads, presentations, etc. You really should aim for creating an online course in premium quality. This requires you have to provide excellent help people can gain tangible results from. To ensure your customers achieve your promised results, the topic of your course should be very specific and well narrowed (many make the mistake to set it up too broad). For example, “how to make money online“ is far too broad. But “how to create amazing podcasts“ is much more targeted. In best case you should refer to a specific problem you offer a solution for. With your course on premium level and your reputable website behind, your pricing can (and should) be settled on a premium level as well. If you see all the overpriced scams on the internet it’s hard to believe, but many of the legit training sources often make the mistake to set too low prices for the value their training contains. Premium pricing makes, of course, a huge difference regarding your income opportunities. A premium course can easily be priced at $497, which offers you huge profits, even with a comparably low amount of customers. Free offers are often jumped over – no unique value expected. That’s not always justified. But that’s how our minds work. If you pay for something you need, especially when it’s a higher price, you want to make that thing you bought work, to get your money back. Don’t make the mistake to create several online courses at the same time. Laser focus on one online course program to make it a good one! And remember, the creation of your online program is only one step towards your success. The next thing is making people find your course. With the outreach of your blog and your email list, you can streamline a well-targeted audience to your online courses. While online courses are normally paid for once, membership sites are based on monthly membership fees, that members have to pay to get access to the services of a platform. In terms of training, a membership site can be considered as a training platform that covers a huge main topic, while online training programs refer to only one single sub-topic within a main topic. In opposite to digital products or online courses, the content creation for membership platforms doesn’t happen once-off. Instead, content has to be created on a regular basis. And there is simply much more content in the whole, that has to be provided, to satisfy the member’s expectations. In theory, the member-based model seems to be a business that ensures recurring monthly income streams that can be calculated very precisely. But is this system really that stable to make great revenues on a regular basis? To be honest, most people I know who tried to establish a membership business model didn’t really get to make it profitable. Those, who really are successful in this field, often state that many people underestimate the efforts of establishing and maintaining these platforms. Like I already said, membership sites have different dimensions than online course products, regarding the amount of covered content. Member-based platforms are perfectly suited for offering tons of sub-topics (e.g. courses) within a huge main topic. In opposite to that, online courses cover a single sub-topic that is broken down into several modules. Need an example? Okay. Let’s say it’s about the main topic “How to succeed in online marketing.“ Under this major topic, there are endless sub-topics like creating a website, finding keywords, generating content, mastering Facebook, Google+, Twitter, tracking and analyzing, becoming an affiliate, building a list, creating digital products, etc. It’s quite obvious, that you continually have to contribute HUGE amounts of training contents to your membership platform to get it all covered. I addition, you have to install a user-friendly guidance through all of it. And you have to go with the market, hence, update and add widespread training on a regular basis. Ah, and additionally there is the part of creating an interaction-rich community for your members inside. I have been a member of different membership platforms. Most of them didn’t manage to bear all of this workload. And if you fail to create a valuable, user-friendly environment, there‘s no reason for members to join and stay for long. And that’s another trouble even very well established membership businesses face: The fact that the majority of generated members doesn’t tend to stay longer than a couple of months. The average retention rate has to be considered in the business plan to avoid misplanning. But why do I put membership sites in my top 5 list of business ideas, when this model seems to be a difficult one to bring to success? Because those who manage to contribute all the content continually and calculate retention properly, really have great opportunity to build a huge, stable long-term business based on recurring income, like a hub shared by a growing community, a place to stay or come back to. And the monthly membership fee is not only good for your repeating income stream as the owner. It also fits the budget of your members, who want to avoid a high priced initial investment for a training or service. I really don’t see many membership sites with great success yet. There are only few who know how to make this model of a stable recurring income work. Nevertheless, there is a huge market for member-based models – many marketers want stable online income and many customers want their costs for e-learning, for example, spread over monthly fees. I am very curious how this business field will develop in the future! What about advertising or sponsoring models? Why is Advertising or Sponsoring not in my “best of business ideas“ list? Actually, selling ad spots on your well-established website can definitely be another online income stream on a regular basis (even a very close to passive one, to be honest). But I have never really focused on them from a business perspective. I believe people can easily feel annoyed by ads if the advertisements are not used in a proper dose and design. Banners (animated ones even more) have a tendency to cause distraction. What’s your way to go? Each and every single one of these 5 business ideas can turn your entrepreneurship into an exciting and very successful journey that lasts lifelong! Again, if you are new to the online family, I would consider starting best with promoting other peoples (great) stuff (affiliate marketing). To recap, many people start with affiliate marketing to never stop doing it, and only it, on six figures or even more. You don’t have to expand in other models. But if you want to, the type and order of the additional 4 above is a very reasonable way, gone by many sustainable successful online marketers. Now I am very curious about your thoughts: What do you think about my top 5 online entrepreneur business ideas for different levels of skills? Are you participating in one or more of them already? Are you planning to step into one of them? Please leave your thoughts and questions below, I am happy to come back to you! You have written a good post here on how people can make money online. I am relatively new to the world of blogging and I always wonder how I could monetize my blog. 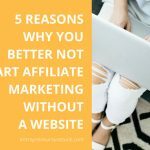 I have only heard about affiliate marketing but I only realized there are many other ways to monetize a site. It does look like running an online business is not as easy as it seems. I can see list building and publish high-quality e-books do take time. Of course, I need to really learn how they are normally done from scratch. Creating my own digital product is a good idea. I assume I have to first drive a lot of traffic to my site. This is where I am stuck. I have been publishing good content to my site but I have to do a better job. You have shared a great piece of information here. An easy to read and detailed post Thanks for this great post. I will come back for more! Keep up the good work! Vera, you certainly go into detail on this one. It’s a long read, but well worth the time. You shed great insight onto what type of online businesses to aspire to and actually what is involved. I think affiliate marketing and creating an email list very much go hand in hand. I’m doing both at the moment, though my email lists are not very extensive just yet, but I’m working on it. Creating your own product is a good one, too, but best left until down the track once an authority site and strong list is established. Thanks for this great post. Well done. Affiliate marketing and list building are really a great combination! And the way you describe your progress and strategy, shows that you understand the importance of another good combination: persistence and patience! This is a great site with great recommendations. I personally went through a few of them only to land right back at the affiliate marketing choice. I am a creative individual who loves to write so I think it’s the right way to go. 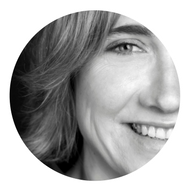 I really love the way you’ve organized the site, with the Home page, Getting Started and into the Top Notch Mentors and How to’s… it has a very nice flow to it! Good luck with everything and thanks for spreading sound advice. You make a good choice with affiliate marketing to start out online. Keep me updated with your progress, I am happy to hear from you again! This is one of the better posts I have read about online businesses. It was very informative without any hard sell. In fact you just presented the best models, not the best products within the models. I have just started my list building so that I can autorespond to visitors and keep them up to date. I am also developing an online course. From what you have written here, plus my research elsewhere, this is the best place to start before thinking about membership sites. Cool layout also. Thank you very much. I do agree with everything you say about what it requires to build a successful online business. Too many people expect quick money and also give up quickly because they’re not seeing the results. These are bad mistakes to make because it takes real time and effort to achieve real success. 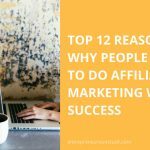 I really love the idea of the Affiliate Marketing business mo, and it definitely sounds like the perfect business for me. I really enjoyed your post on business ideas for beginners and advanced marketers alike. I am into affiliate marketing mostly, but one thing that interests me is digital content. One thing that I think could be cool is making an instructional DVD on something that you are good at. The same “instructional idea” could be used for a membership website! Hello there Vera, very interesting subject. I agree with your top recommendation in that list. Affiliate marketing combines many advantages such as flexibility, freedom of choice in the niche or topic of interest, endless potential that makes it a no brainer for me. Email marketing comes as a sequence of marketing through a website. But it needs some traffic first. I am into the process of creating my very first ebook. It will take me long to complete but it is something that may return a lot. Good idea on creating our own training courses. But this step needs a lot of experience I guess. Now for the membership site I don’t think I have the time to invest. Can such a site directed by 1 person? Very detailed article, nice breakdown in pieces. I’ll be returning for more. thanks for stopping by, much appreciated:) Yes, I am a huge affiliate marketing cheerleader as well, but I also like the other business models, which can perfectly be combined with the knowledge from doing affiliate marketing. You are on a good way, writing your first ebook, congrats! I think it depends on the dimension of a membership site, whether you can manage the workload on your own or not. I could imagine you can quickly get to a point where you need a good team around or at least some good outsourcing partners.